This sweet china plate is the perfect keepsake to remember that special occasion. 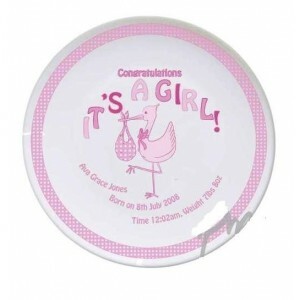 The words 'Congratulations' and 'It's A Girl' are standard but you can personalise this plate with a name, time, weight and date of birth. Using up to 30 characters for the name, time and weight. This sweet china plate is the perfect keepsake to remember that special occasion. 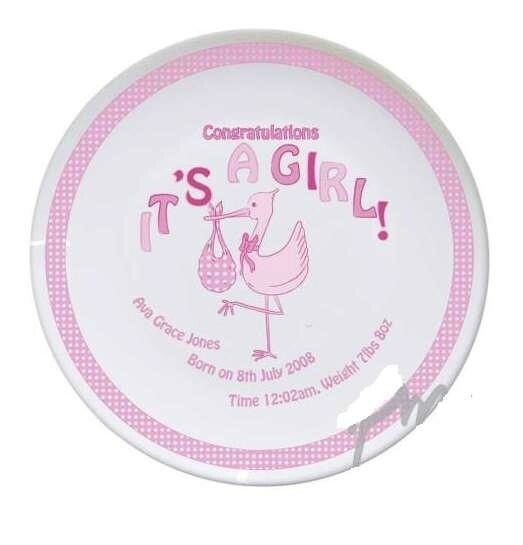 The words 'Congratulations' and 'It's A Girl' are standard but you can personalise this plate with a name, time, weight and date of birth. Using up to 30 characters for the name, time and weight. This plate is 8 inches.